Yay! It’s finally happening! 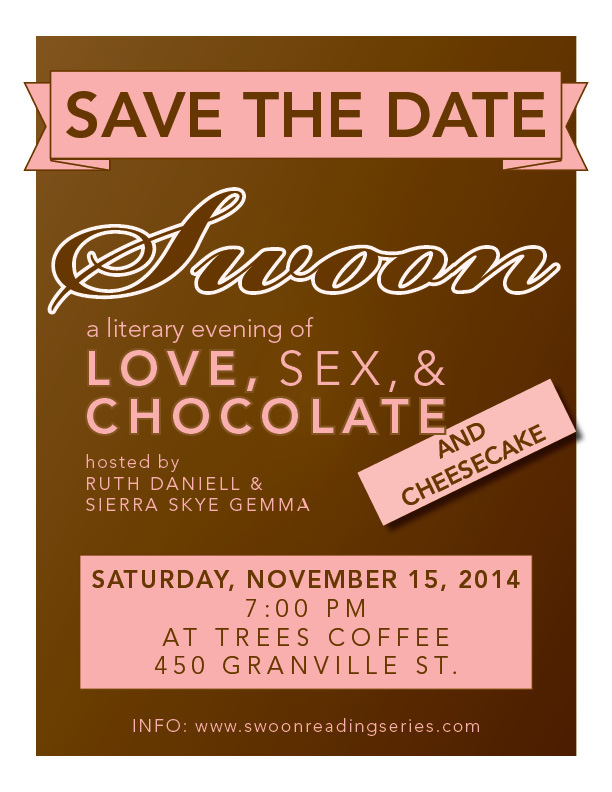 I’ll be hosting the next Swoon event with Ruth Daniell on November 15th at Trees Organic (downtown). Hope to see you there! The Swoon team is excited to announce that we have found a new venue (hellloooo cheesecake!) for Swoon’s next event, and we’ve finalized a date! We’re making you wait for the author announcement (anticipation is so sweet) but you can still mark your calendars, confident that Saturday, November 15 will be a swoon-worthy evening. Are you following us on Twitter yet? Follow us on Twitter! Like us on Facebook! Share the excitement and the love!